Welcome to the Fellowship of Christian Sportsmen (FCS) website! Thank you for visiting! Serving the outdoors community for 30+ years! FCS is a 290+ member non-denominational, non-political, family friendly sportsmen’s organization that was founded in Austin, Texas in 1988. We are also non-profit but we have not applied for tax-exempt status. We remain based in the Austin area. We minister to sportsmen by providing quality and affordable hunts, fishing trips, shoots, and similar activities across the state year round. We love to fish, but we strive to be fishers of men. FCS membership is not required in order to participate in our events. We frequently add new events. We make our best efforts, but we do not offer a guaranteed harvest for any of the hunts or fishing trips that we host. 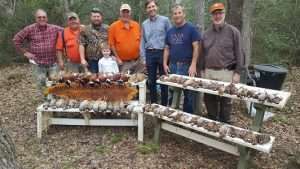 Evening events last around 2 1/2 hours and hunting and fishing trips last from a half day to three days. We try to balance expensive and inexpensive events. 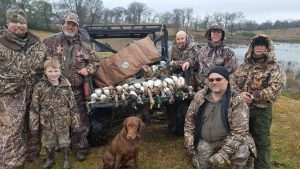 Through many years of experience we have found that inexpensive hunting and fishing trips often result in poor harvests (as the saying goes, you get what you pay for) and in frustrated participants who do not return. We prefer to pay a standard land owner/outfitter/guide rate to have a better chance of success. Additional expenses often include tips, game cleaning fees (for those who wish to have their game cleaned), motel rooms or campsite fees, boat launch fees, gas, bait, and food. We also understand that not everyone can afford expensive events; therefore, we offer events with minimal costs. At many events we are able to cut expenses by carpooling, sharing motel rooms and campsites, and cooking. We send out regular emails on FCS news and sportsmen’s topics and will be happy to add you to our distribution list. There is no charge for this service and you can unsubscribe at any time. Contact Randy Rowley at randywrowley@gmail.com to be added to the list. For more information see our “About Us” web page or contact Randy. We think that you’ll find that we’re what you’re hunting for! FCS celebrated it’s 30th birthday in December 2018! Here is other sportsman’s news that might interest you. Due to a malware attack and the large number of people who became registered users to attempt to place spam on our website, we will reject requests from non-FCS website administrators/editors to become registered users.